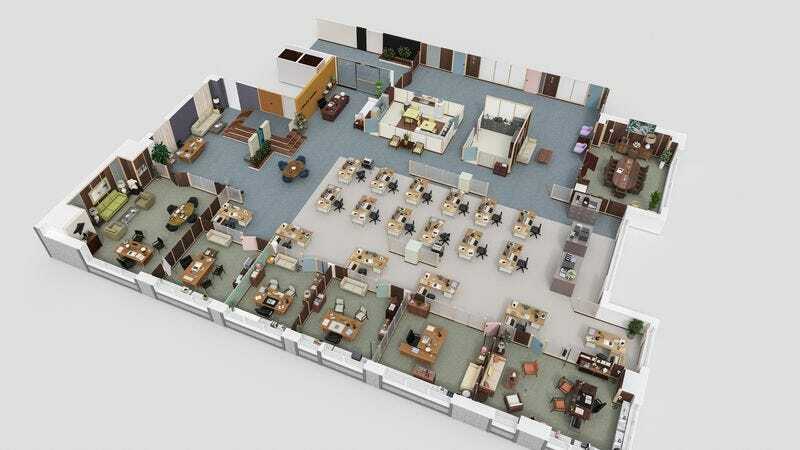 We spend a lot of time absorbing the layouts of TV show sets, eventually coming to have a vague kinetic sense for where each room is in relation to the others. There’s something of a cottage industry of recreations of these sets in VR, using cutting-edge video game techniques, and as floor plans, all of which is understandable: After so long spent staring into these spaces, we eventually want to visit them. You can see these offices and many more over on Drawbotics’ site. They’re fun and all, but let’s see some 3-D representations of all of those sitcom houses where the couch faces the audience. What hideous secrets do those never-filmed fourth walls hide?